The G20 nations-backed Global Infrastructure Hub estimates that infrastructure dollars needed to satisfy global demands will rise to $94 trillion – with a “T" – by 2040. The investment gap amounts to $15 trillion, they say, and annual spending needs to rise 3.5% from 3% of global domestic product. They also point out the necessity of a further $3.5 trillion to meet the UN Sustainable Development Goals (SDGs) for universal household access to drinking water and electricity by 2030, bringing the total to $97 trillion. Drinking water systems, safe and secure roadways, reliable electrical grids and cell towers, new buildings and transportation systems as well as a whole host of other infrastructure is turning into a pressing need for a world population that is growing and becoming increasingly urban. But besides the actual dollars needed to get shovels into the ground, automated systems will step up to increase efficiencies, save time and money, and aid in sustainability of projects as we begin to approach the next half of the 21st century. For civil engineers, contractors and architects – those on the frontlines of today's infrastructure needs – automation is bringing a sea change to the industry by introducing new cost-effective ways to deal with limited resources in a world desperate for upgraded and newer infrastructure. Let's take a closer look to see how design automation in engineering software -- such as Autodesk's Dynamo for Civil 3D — makes the experience better for everyone involved. Many people initially balk at the idea of increased automation. That's because they think of “technological unemployment," the loss of jobs caused by technological change. In 2013, Oxford University machine-learning researcher Michael Osborne and economist Carl Frey predicted that 47% of U.S. jobs were at high risk of being automated within two decades. Increased automation, however, does not necessarily lead to the gloomy economic picture these numbers seem to paint. Quite the contrary. “Automation is changing the very things we're capable of making and how we make them," said Autodesk CEO Andrew Anagnost at the introduction to Autodesk University 2018. “Automation is introducing new ecosystems, new jobs and whole new ways of working." And far from being a threat to workers or industry, automation is an opportunity to make more things, make them better, and with less negative impact on the world. Using farming as a classic example of a profession that has changed dramatically, Anagnost further stated: “In 1900, 40% of the United States worked in farming. Today only 2% of us do. Automation has enabled us to use farmland more effectively and with better precision, and in place of repetitive jobs there's a whole new ecosystem of jobs." For example, a report from RightScale says cloud architect jobs grew from 56% in 2017 to 61% in 2018. A 2013 report released by the Association for Unmanned Vehicle Systems International, projects more than 100,000 new jobs in unmanned aircraft by 2025. And a LinkedIn Workforce Report says that in the U.S., the demand for big data analysts has grown sixfold compared to five years ago, and data analysts will continue to be the most sought after profiles over the next five years. This is further confirmed by IBM, which claims that the annual demand for data scientists, data developers and data engineers will lead to 700,000 new recruits by 2020. Here's another example of the changing nature of automation. When ATMs first came out in 1967, most people assumed that the days of the bank teller were numbered. By the 1980s, when ATMs were ubiquitous, the number of bank employees increased and continued to increase until the number of employees peaked in 2006. Rather than eliminating the role, automation changed the nature of bank teller roles. The technology enabled employees to grow their careers and solve more complicated problems. Automation has certainly advanced infrastructure design as well. An example of this is Build Change, which builds earthquake, and typhoon-resistant homes and schools in developing nations. The organization uses drones and photogrammetry to map remote villages and assess earthquake damage, taking away risk and danger to individuals who might have performed those tasks in the past. There is certainly a correlation here with other professions. As automation technology progresses, the future of jobs in the infrastructure, architecture, construction, and manufacturing industries will also change. Automating repetitive tasks doesn't make the tasks we do redundant, it means we have more time to focus on what adds value. 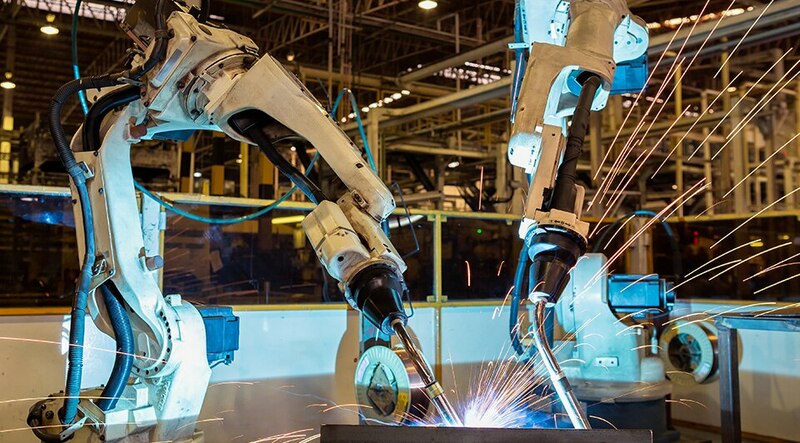 The best parts of how automation will change the economic landscape can be seen in two areas: Automation will transform older and existing industries and create new ones. That ultimately will mean change and adaptation for the workforce, as civil engineers and designers will be working in a more technologically sophisticated environment and interacting with technology more than they do today. How does that work? The so-called "waterfall process," according to Anagnost, which forces engineers and designers to work and re-work, draw and re-draw, design and re-design, is “…leaving a lot less time to use creativity to solve real problems and less time to address all the requirements that could have been…"
Automation can help with the capacity problem that stems from the extra unneeded work and re-design, and can positively impact local economies, balance the inevitability of demand and fewer resources, and ultimately build better infrastructure that fuels those continuing needs. Let's get back to the numbers. The world population is expected to grow to about 10 billion by 2050 with 75% of those people living in cities. That, of course, will create a need for everything from more energy, to more housing, to more cars. Those needs necessarily translate into a greater need for infrastructure and as a result, the skills of people and companies who build, design, operate and maintain infrastructure systems will increase. Automation of many tasks, which today are done in more analog environment, will allow engineers to build more things, decrease construction waste, use fewer resources, take on more work and answer the need for more engineers. The cycle, much like the bank tellers of yesterday, will continue to grow because the jobs will adapt and change to the new environment. “The idea is to drive down the cost and complexity of building things and at the same time enable people to build things a lot better so that they are more efficient," says Anagnost. “When we build them we can use materials so that there's less waste at the construction site, so we are trying to use automation to really enable people to solve classical problems of capacity in the [civil engineering] world." For engineers and designers, the concept of generative design – a process that uses automation and computation to augment the designer's ability to define, explore, and choose alternatives – will continue to grow in this new work environment. Generative design is about providing practitioners with the ability to quickly explore, optimize, and make informed decisions to complex design problems. Automation is about using simulation to validate or optimize a design without needing to make a physical prototype. It will allow us to explore a multitude of design options early in the process. It's about creating a building information model (BIM) process to foster collaboration among civil engineers, architects, and construction teams so they can make decisions in real time across traditional work silos. “Taking advantage of generative design means acknowledging that computers can do a better job with certain kinds of low-level analytical tasks, like checking to make sure all the doors are swinging in the right direction, the stairs are wide enough, or the type of glass in the window wall is actually performing in the context of the overall energy goals," says Phil Bernstein, Associate Dean and a Senior Lecturer at the Yale School of Architecture and Autodesk Fellow. “Doing this frees a designer to focus on more important things." In a civil engineering environment this process could work well during the design of bridges, for example, providing wide ranges of designs which can use different materials and lower material quantities than that of a standard design. What does automation look like today? Up until now, the discussion on automation has been an academic one. But automation is changing workflows at this very moment, and improving the ways engineers, designers, and builders are creating new infrastructure. “The CAD world is evolving from the design of static structures to include the designs of actual systems that also run buildings, machines and more. These are big tectonic shifts in the way people design things. The idea of visualizing design in 3D – how you construct or how it feels inside of it – that was foreign to people 10 years ago. Now, model-based processes are everywhere," says Autodesk's Anagnost. Advanced CAD capabilities are about to bring transformative changes: The CAD world is evolving from the design of static structures to include the designs of the actual systems that also run buildings, machines and more. "The shift from models to systems is in keeping with the overall shift in technology from devices that used to sit on desks to intelligence, automation and collaboration being layered into everything," explains Anagnost. “We've moved from drawings to models and we will move from models to systems where the computer is actually proposing outcomes that a designer can review, and those outcomes are based on the physical attributes of the building you are building." Artificial Intelligence is also aiding in the shift. No, we are not necessarily going to have infrastructure designed by machines — however, machine learning can augment and enhance the expertise of builders and civil engineers by providing them alternative calculations and possibilities. “Dynamo gives me the means to be more flexible and quick in solution adoption," says Wouter Bulens, BIM Manager with the firm. “In my experience we hope that civil projects are standard, but every time you find that you need something a bit different. With the right nodes it will be easier to create a variation and test something new. I also look forward to drafters using this tool. This is simply next level scripting with not just AutoCAD, not just Civil 3D, but geometry and data as a whole. As a programmer, I am very happy with the visual engine of Dynamo to support programming with geometry." Repetitive tasks and rote tasks are being eliminated for today's engineers by tools such as the visual programming environment known as Dynamo for Civil 3D. Dynamo for Civil 3D allows you to build scripts and routines for repetitive or complex tasks quickly and efficiently. It is a powerful tool that will aid in processing anything from common tasks to the most complex of design workflows. This visual programming tool helps engineers and architects analyze design and BIM data, automate tedious and repetitive documentation tasks, and exchange information between software formats that are not necessarily directly compatible. Dynamo is coding for people who don't necessarily know programming languages. It is visual programming using the “node" system as a graphic interface rather than typing out lines of code. Defining scripts and routines in a visual environment frees up time for designers to hone their craft and expedite workflows, which also creates a more efficient workflow for engineers. Engineers at Belgium's TUC RAIL, a railway infrastructure manager, are already incorporating the system for their own uses with great success. It's true, the future of engineering is already here. Automation is opening a new world of opportunities that can operate at a more efficient and cost-effective pace, allowing people to do more with less. These systems and processes are currently being incorporated into the workflow of engineers and designers who create new infrastructure, and as Anagnost predicts: “The capabilities of the advanced CAD platform are about to be truly tested and transformed." 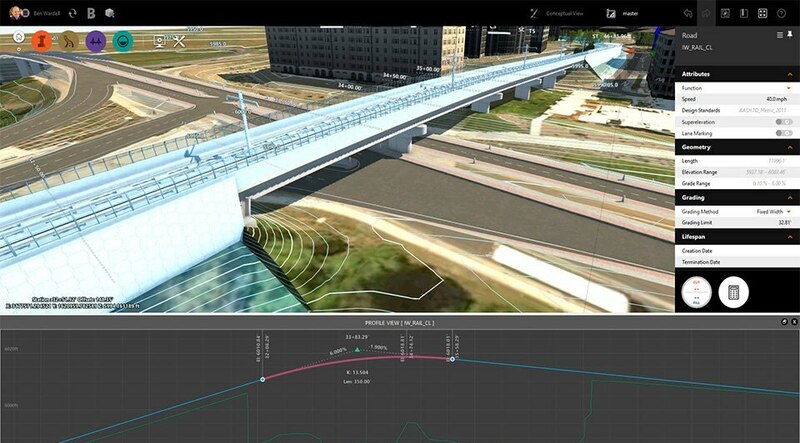 Find out more about Dynamo for Civil 3D and Autodesk's AEC Collection.